Welcome to the last stop on the global stamping friends blog hop! Because it's summer and scorching hot, for this months club I wanted something refreshing, fun, and inspiring. And every kid I know loves ICE CREAM!!! These cards use the "cool treats" stamp set and matching framelits! There are a lot of cutouts, but I think it's totally worth it! 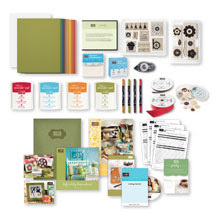 The first is simple using the stamp sets "Work of Art" and the "cool treats". The colors are flirty flamingo and soft sky! 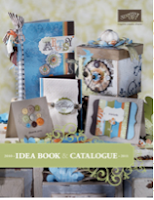 It was cased from craftysentiments on pinterest. 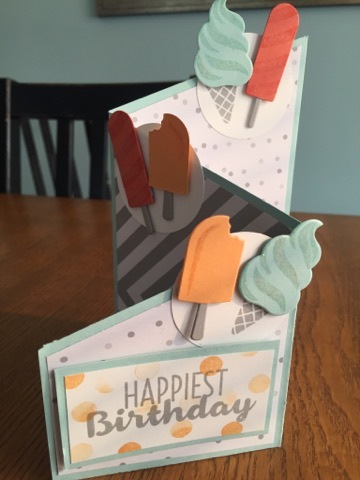 This one was the most difficult, because I saw something similar on pinterest, but then could never find the actual dimentions. 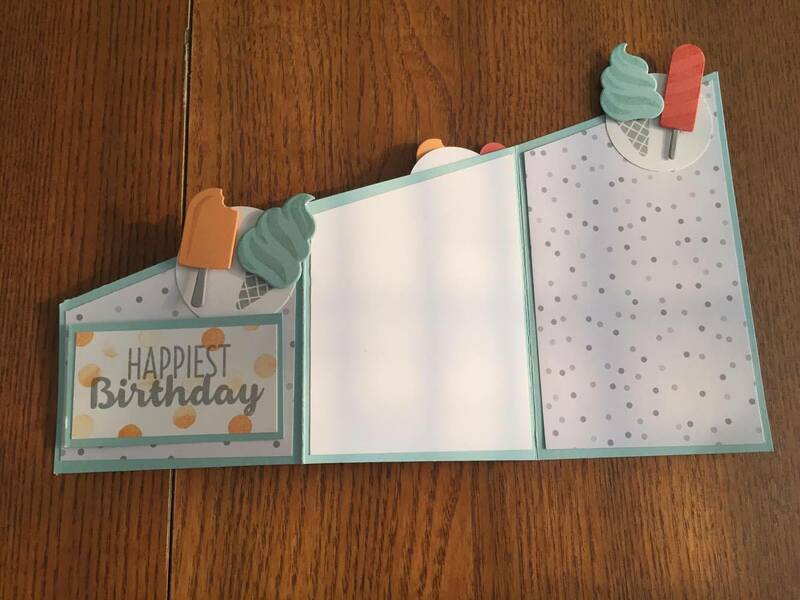 What I did was cut it to 10 1/2" long, and then cut it on an angle in half to make TWO cards with one piece of card stock! This one is CASED from Julie Kettlewell from the UK! 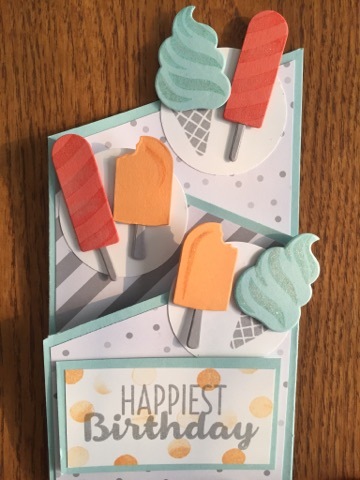 It's hard to tell in the picture, but I also put some wink of stella on the Popsicles to make it extra special for that kid in your life! Lastly, is this fun card!!!! Stacked up with a bunch of scrap subtles, and the crumb cake on the side I ran through the big shot. 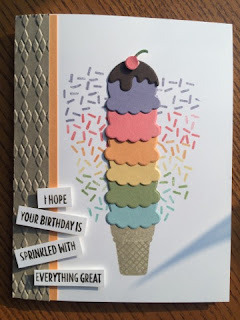 I really love the rainbow sprinkles! This one is cased from Jacquii McLeay. This is the end of the bloghop, thanks for stopping by!!!! What a fabulous trio of cards Erica... make me feel all summery and in need of ice cream! Wow! What a great card set. I just love them. Great cards Erica ! 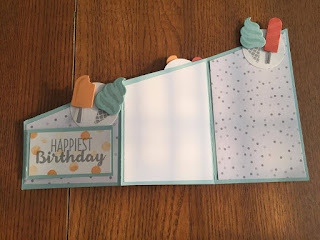 Another fold I need to try , thanks for sharing - it's now on my "to do " list ! 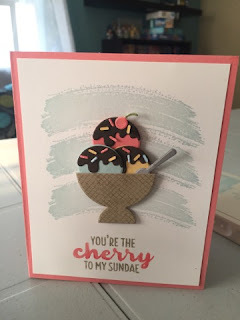 I really love your ice cream themed cards! 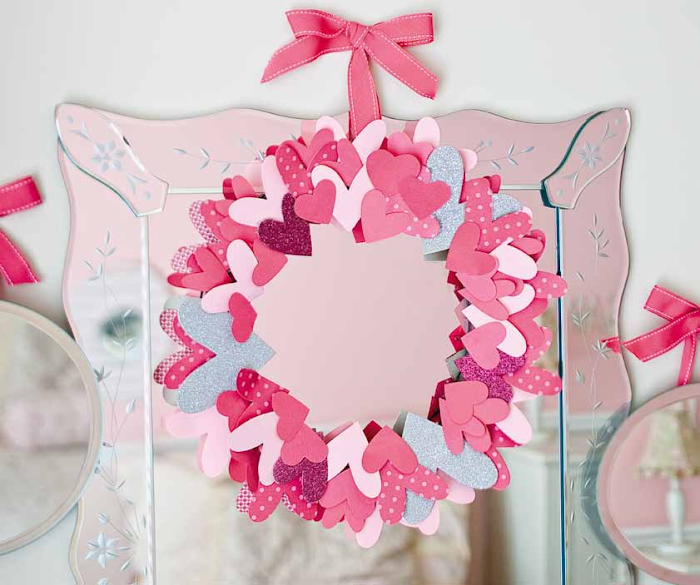 So cute - and PERFECT for kids! great set of ice cream cards. very colorful. What a great assortment of flavours, I want to come eat icecream at your house. 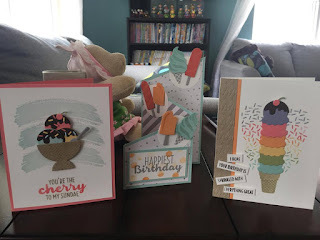 Great projects and I love the matching sprinkles and icecream - wonderful. Thanks for joining in. Fantastic cards! I just love this set! So cute! 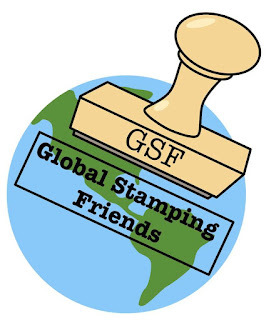 This is a really fun stamp set to play with! Oooh, these look good enough to eat! 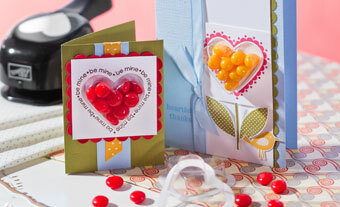 What a fantastic array of cards - each one is brilliant. I love all 3, but that middle card is WOW! Need to pin this! I love all of these - think I need to pull this set back out. Wow. 3 fab cards. Beautiful, bright and fun.